Monthly billing started February 1, 2019. Click here to learn more. What is the monthly customer fixed service charge? 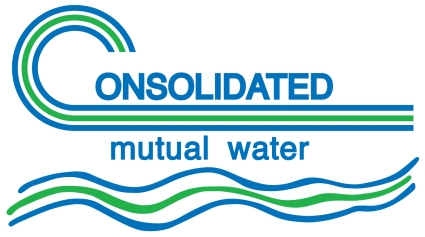 The monthly customer fixed service charge (service charge) is a flat charge due from each stockholder/customer, regardless of their level of water usage. The service charge covers fixed costs such as customer service, processing and collecting bills, operating and maintaining the Company’s robust Eye on Water portal, and the automated meter reading system which allows customers to access and monitor their water consumption. Another component of the service charge is related to the Company’s demand cost, which is dependent upon meter size. The larger the meter, the greater the demand placed on the Company’s water distribution system. The Company’s service area covers 27 square miles in central Jefferson County, Colorado with 400 miles of pipelines, numerous pump stations, storage tanks and fire hydrants serving about 22,600 tap connections. As a private nonprofit ‘mutual’ Company, all stockholders/customers pay their share of the Company’s fixed costs on a monthly basis directly through the service charge. Generating a consistent level of revenue, regardless of water usage, which is subject to volatile weather patterns, is a Company economic necessity. Can I have the water bill sent to my tenant? Yes. We can send a copy of the statement to the property – addressed as “Current Occupant.” Contact Consumer Services at (303) 238-0451 for more information. Also, please see the Company’s payment responsibility policy. Select the “Pay Your Bill” option and follow the prompts to set up an online account. Once your account is set up you have the option for paperless billing and autopay. We will be relocating soon and want to receive your statements electronically. Do I have to wait for my first ‘mailed’ statement to sign up for electronic statements? No, please call (303) 238-0451 and ask for your billing ID number. Will my statement be e-mailed to me? Yes. Once you’ve set up your online account through the “Pay Your Bill” option, select paperless billing. You’ll receive an email notification each month letting you know your statement is available to view on your online account. What if I don't receive the notification e-mail? Please contact Customer Service (303) 238-0451. How will my E-Statement look? It looks just like your regular bill that you received in the mail. When will I see my first E-Statement? You will receive an email notification the same day that your bi-monthly bill is generated. Log into your account and select the ‘view statement’ option. Will my mailed statement stop automatically? Yes. Your printed and mailed statement will stop when you elect to receive your statement electronically. Can I go back to a mailed statement? Yes. Log into your account, select Manage Account/E-Statement, then press sign up for paperless billing. Then ‘de-select’ that option and press update. Can I receive an E-Statement and a paper copy as well? No. You may receive either a paper statement or an email – but not both. If I elect to receive e-Statements, am I required to pay using the "Pay My Bill" link? No. You can still use any of our payment options to pay your bill. Yes. Be advised a convenience fee of 2.45% or $2.00, whichever is greater, is charged and collected by the credit card company. Can I make a payment other than the amount due? Yes, unless you are on a recurring payment plan. Please pay your bill in full by the due date or your water service will be interrupted. When will my payment be acknowledged? We will acknowledge your payment immediately; however, the bank may take two to three business days to process your payment. Can payments be canceled after they are submitted? Yes. You must contact Customer Service at (303) 238-0451 the same day of the payment – during our office hours (7:30 a.m. to 4:30 p.m.), and your payment will be deleted, not modified. Will I receive verification that my payment was accepted? Yes. You will receive a confirmation number. What is my billing Identification (ID) number? The billing ID number is on the upper left side of your statement – below your Account Number. What happened to the graph on the lower left corner of the water bill? Stockholders/customers now have access to ‘Eye on Water,’ a much more detailed method to track water usage online. For more details, please click here or contact Consumer Services (303) 238-0451. How do I adjust the height of my meter pit if landscaping/grading has changed? Contact Consumer Services to schedule an appointment for a field inspection and advice on bringing your meter pit access level with surrounding landscaping. Please note that as the Stockholder/customer you are responsible for repairing any damage to the meter pit that was caused by your height adjusting activities. Can I access my meter pit to turn my water off myself? We recommend that you contact Consumer Services (303) 238-0451 to have one of our servicemen assist you to avoid damaging the sensitive meter equipment. Although the Stockholder/customer owns the meter pit, any damage caused by you entering or manipulating the meter or the meter pit will result in applying repair charges to the Stockholder/customer’s account.